“Why do we need a separate map for Jammu and Kashmir? What does it teach the children? Two map is radicalising the youths. There should be some control over mosques and madrassas in the state and a major revamp of the education system is required,” General Rawat had said. 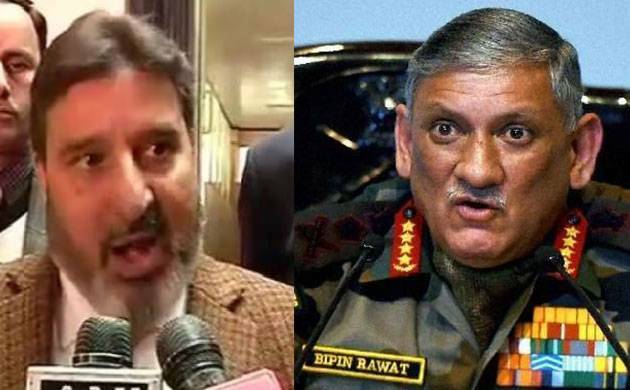 Following Jammu and Kashmir Education Minister Altaf Ahmed Bukhari’s snap to Army chief Bipin Rawat, the coalition partner BJP on Sunday asked him not to lock horns with the Army chief. Brigadier Anil Gupta (retd), BJP J&K unit spokesperson in a statement asked Bukhari to be pragmatic and accept the reality. Gupta said General Rawat's remarks should be viewed positively and not turned into a political issue. General Rawat had raised objection over Kashmir school students being taught about two maps, India and J&K. He made the observation while addressing the media on Friday.